Smack, smack, crunch, crunch! As you are preparing to swing, all you can focus on is the sound of a business colleague eating with their mouth wide open. Not only does this sound irritate you, it makes the person who is eating seem barbaric and in a lower class. Wouldn’t it be terrible if you were invited to play golf with your boss and because you didn’t study etiquette rules you looked like the same barbaric person who chews with their mouth open? Well, lucky for you, I have written today’s article about golf etiquette to save you from this embarrassment. Now, while you will find a lot of information online, most of it may seem a bit confusing and conflicting. To help clear the confusion, here is some basic information that will help if you are starting to play this classy sport. Unlike those of you who are reading right now, I have learned these rules in a less pleasant way, as I did not have an etiquette lesson prior to playing. I had to learn my etiquette rules by making mistakes and being corrected. After reading this article, hopefully, you will not need to discover the rules the same as I did. So, let’s dive right in, the following are necessary tips for those who are starting to play golf to avoid embarrassment while out on the course. This is a very easy rule and, even more so, very easy to forget to do. It’s very discomforting when you’re at the green or tee box, completely focused on club selection and hitting a perfect right to left shot over the water, thinking where you need to play your ball, and, out of nowhere, a phone rings in the middle of your swing, drawing your attention from what you are doing to understand what the noise is. This is definitely a situation that makes golfers very upset when it occurs. A lot of people know this rule and, believe me, there is not a time when I watch a golf tournament on the television and do not see a fan’s cell phone ringing super loud. As a result, the golf gets annoyed with the loud ring as it causes them to lose focus. In extreme situations, the player may even request for this person to be removed from the tournament area. 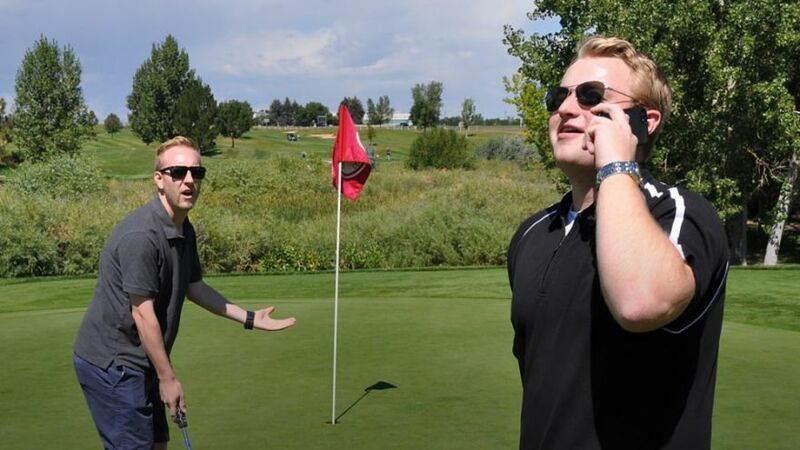 So, it does not matter if you are playing with alongside colleagues or an important golf tournament, the rule is always the same: do not forget to put your phone on silent mode. In case you need to receive an urgent call, make sure you walk to a place farther away from where people are playing. 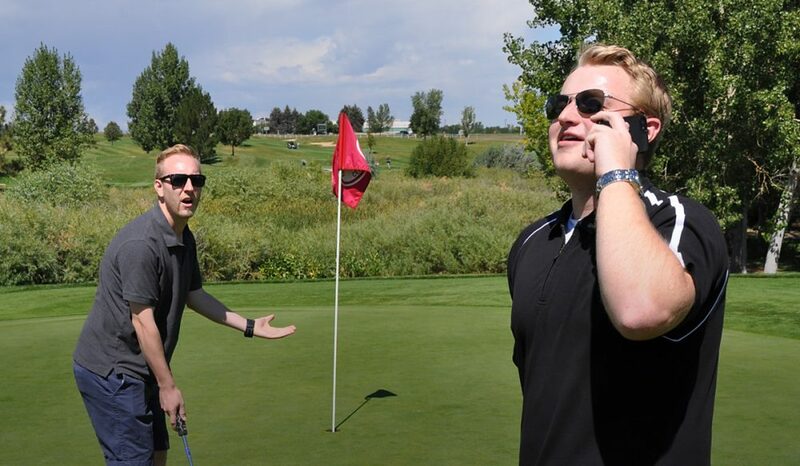 If you are playing, walk away and make sure that the call will be brief so it does not bother the person who you are playing with and that people who are waiting for you to finish the hole. When starting to play golf, one of the first lessons a newcomer will learn is that a negative degree of impact is needed in order to hit a good golf shot. This means essentially, that you will be hitting down on the golf ball. This type of angle of attack will most definitely lead your iron hitting the ball and removing grass from under it and leaving nothing but dirt behind. These holes are called divots. 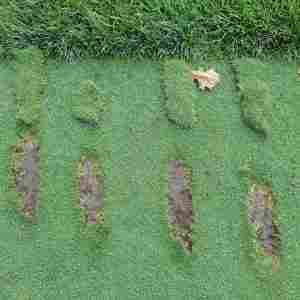 It is very much frowned upon to make these divots and not repair them after your hit. 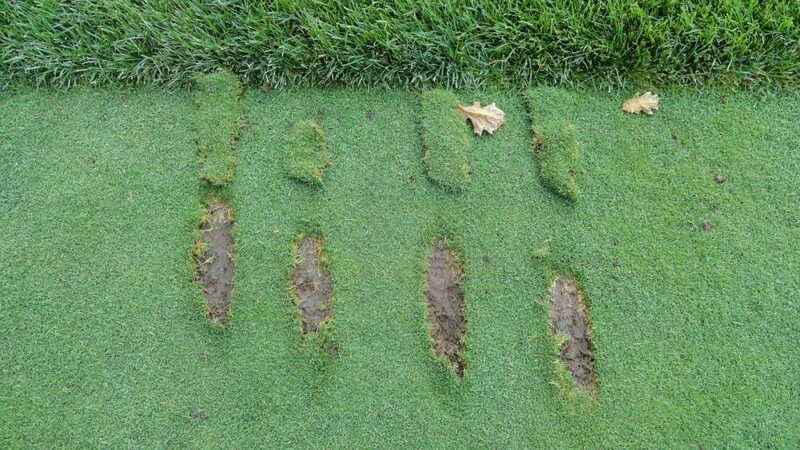 Not repairing these divots can disrupt the player who is playing behind you. This will happen if the player’s ball falls into your divot as it may prevent them from getting proper contact on their ball. Also, not filling the divots compromises the performance of the golf course that you play on. In your golf cart, you will find a small container with sand. The sand is found there to fill your divots. In order to repair your divots, take the sand from the back of the cart and place this sand in the divots. Make sure that the surface is flat and you are done! Your divots are repaired. This sand contains seeds that will help the grass grow again and make for many great golf rounds. One thing that can destroy a fun golf outing is having to wait a long time on a golfer in front of you who is slower than molasses. Golf does require a lot of focus and attention and I’m not saying that everyone should rush and not take his or her time. Take your time but always keep in mind that people are waiting for you to finish to start playing. Ideally, you should optimize time. Take this situation, for example. You are playing with a friend and have a person playing alone behind you. If the person behind you is a very slow player and you and your friend are quite fast, the playing time on each hole should be close to even. In this case, there is no reason to let the single player pass. However, the situation will almost always happen where the single player is much faster. When this happens, it is part of proper golf etiquette to let the single pass. Not only will this speed up the round for both the single golfer and your own, it is a simple option in which all contestants win and are able to finish their game calmly and successfully. 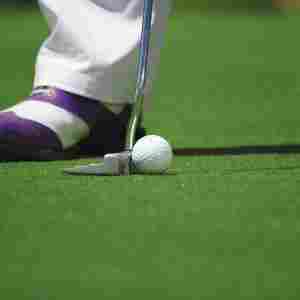 Once a golfer reaches the green, he typically pulls out a putter and hits a shot that rolls on the ground, very similar to putt putt golf. The line between the golfer’s ball and the hole is called the putt line. Never, under any circumstance, walk on the putt line of a golfer. Despite not being a registered rule and not having penalties in golf does not mean that golfers do not. This is a very serious etiquette infraction and will make many people never want to play with you again. Everyone respects this rule from small city golf courses to major tournaments. The reason for this rule is very clear: everybody knows that in the sole of golf shoes there are many little spikes, these spikes cause some ripples on the green. So, when you step on someone’s line and make changes in the grass, it’s obvious this action will change the line on which the ball must travel to fall in the hole. Follow this advice and you will not have enemies on golf courses. This is a very serious rule and one that all the great golfers follow. Golf is a sport that has a demanding dress code. It is necessary that players are dressed appropriately for each round of golf. For men, a polo or collar shirt is needed along with a pair of shorts or social pants. (sorry cowboys, no jeans allowed) For women, the dress code is a little more relaxed, but it is still recommended to also polo or collar shirt along with skirts or sports-specific shorts. It is important that the chosen clothing offers comfort and mobility. The mobility comes in handy because the golf swing requires maximum flexibility and comfort as you will spend a few hours playing. Despite the requirement of clothing code, finding suitable clothes is not difficult. 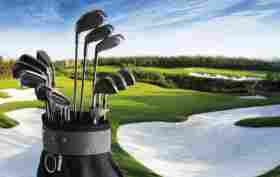 You will find golf clothes and shoes at any sports store or online stores. I hope some of these tips will help you in your first round golf game and remember the game of golf will always be based on your integrity to show respect for others and comply with the rules. All players must play in a disciplined manner, always show courtesy and camaraderie, regardless of their competitive side. This is the spirit of the game of golf.